Manchester United are ready to continue their winning run. The Devils have won all six of their matches since Ole Gunnar Solskjaer is the manager and the seventh heaven could be reached on Saturday against Brighton and Hove Albion. Man United have already managed to get on level with Arsenal who are currently in fifth only because they scored two goals more. The Champions League spot is six points away and a victory in this match would be very important in order to stay in the race. So, what do we expect from this match? Except for the win – which is expected before every match United play – there are certain things we would like to see. Manchester United have made consecutive clean-sheets for the first time this season in their first two matches in 2019. That is a telling stat. If you add a 2-0 win against Reading in FA Cup, it jumps to three matches, but the one against Brighton would be an important one too. Simply, Man United shipped three goals when the two sides met last time in August. It was a comfortable loss, as the Seagulls had scored all three in the first half. Keeping a clean-sheet would be a perfect way to build on the 1-0 win over Tottenham and not only for David De Gea. Victor Lindelöf has started improving in the past month or so, with some good performances and that would be vital for this tea to continue. Jones was decent too and when the hot streaks of goals galore are stopping, it is crucial when you can rely on the back four. Generally, we do not care who is scoring goals as long Manchester United are winning. But this time, we would like to see Anthony Martial get his name on the scoresheet. The Frenchman is our choice for a couple of reasons. The first one is that he is reportedly very close to signing new contract with the club. It would be a nice reward for everything he is doing. 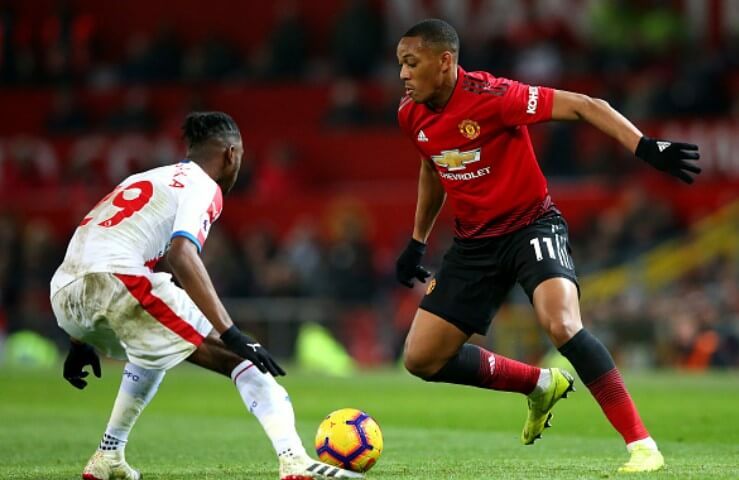 And the second one is simply because we want to see a consistent Anthony Martial. He had scored only in Solskjaer’s first match in charge against Cardiff. And that was it. There was an assist against Bournemouth too, but we would like to see him keeping his form and delivering in matches like this one. Luke Shaw started the season better than it was expected. Not many could see the Englishman being starter again and performing to the necessary standards, but that is exactly what happened. However, with time, his form gradually started going down. Let’s be clear, at this point, Shaw is not out of form or out of shape per se, but rather he is less consistent with the output offensively. We would like to see him be bigger threat in final third, especially with assisting his players. His crossing can be improved and it could be a useful tool, not only for targets in the box, but for the second ball wins in dangerous areas.